Made of full grain cowhide leather, it comes with a stylist to fit palm V. Also include a Velcro attachment to accommodate other models. 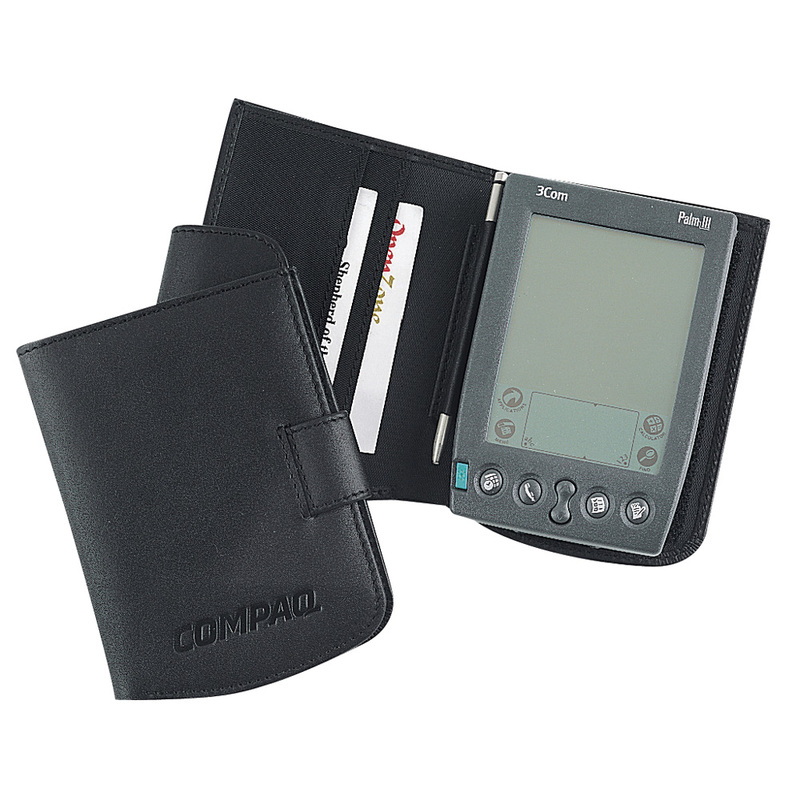 Features 2 open pockets for cards and a tab closure. Deboss: On the front cover bottom approx. 2 1/2" x 1 1/2"
Product Size: 5" x 3 3/4"
Pack Info. : 20 pcs / 12.00 lbs. Pack Note: (Actual Weight) / 12" x 10" x 8"